Behind every great day is a great night at the Comfort Inn Fontana hotel in Fontana, CA near Victoria Gardens Cultural Center. Nearby destinations include Disneyland Amusement Park, Knotts Berry Farm Theme Park, Universal Studios Hollywood Adventure Park and Six Flags Magic Mountain Amusement Park. Enjoy amenities like free hot breakfast, free WiFi, fitness center, valet cleaning services and access to copy and fax services. 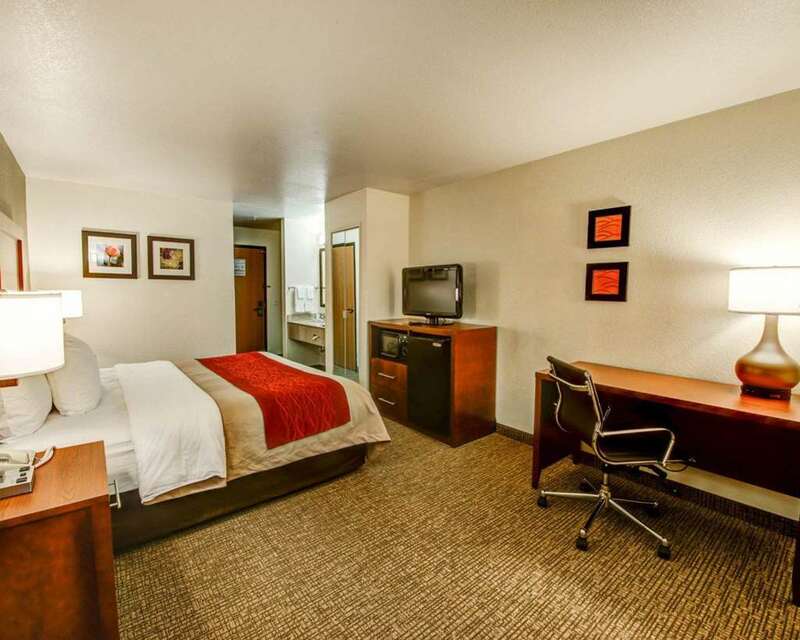 Rooms include a flat-screen TV, microwave, refrigerator, pillow-top mattress, coffee maker and hair dryer. Also, earn rewards including free nights and gift cards with our Choice Privileges Rewards program.